5 Points Realty is a respected name in Charlotte real estate. If you polled 100 people from Charlotte’s around town loop a 100 would know of 5 Points Realty. However, few would know of 5 Points Realty deep reaching influence and longevity. The ownership and brokers have been too busy working to recognize how they had grown and the reputation they had built. It is time to tell 5 Point Realty’s story and recognize them for the Charlotte staple that 5 Points Realty has become. 5 Points Realty was launched in 2007. In the throws of the last real estate boom 7 individual high preforming brokers got together to create 5 Points Realty. 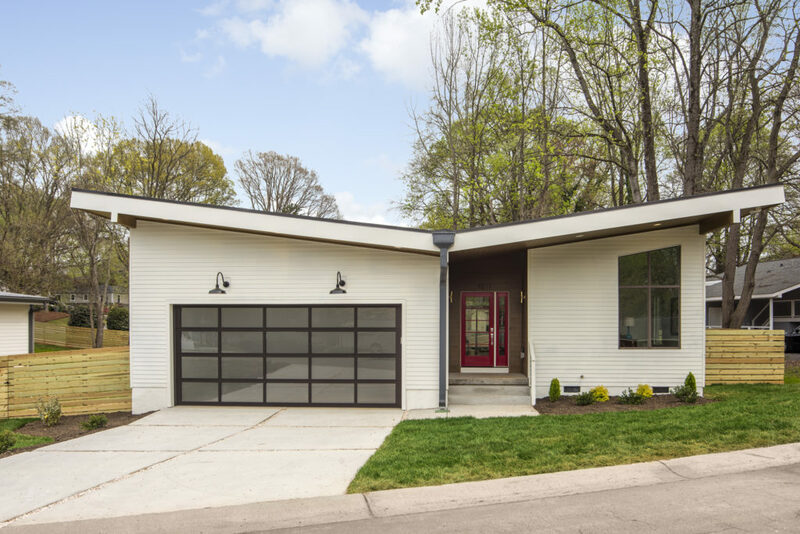 All shared a passion for all things architecture and design, whether preserving an original mill house in the North Davidson neighborhood, renovating a mid century modern in McCrorey Heights, building a sleek contemporary home, or seeing potential in an old filling station. The love of design came first selling buying and becoming experts follow as a result. Then came 2008, one of the greatest recessions in US history and certainly the greatest real estate crash of all time. The nation’s wide economic implosion rapidly forced many real estate companies to close. For 5 Points Realty, 4 of the 7 original owners decided to go in different directions. The 3 that remained, were Charlie Miller, Edwin Wilson, and Michael Doney. The economic devastation served to strengthen their resolve. They united to stay and develop through the downturn. Charlie, Michael and Edwin focused on helping buyers and sellers through the difficult times. They shifted their personal lives to stay in business. They also set their gaze beyond the crash to a recovery. The result of their courage, determination and dedication to the their business is a galvanized 5 Points Realty brand and reputation. In 2019 5 Points Realty is now in their 12th year of business getting stronger each year. They have attracted Charlotte’s finest brokers that share their dedication to approachable and creative real estate. They have 2 office locations.The new office is in Villa Heights/Midwood and the original office is in the historic neighborhood of Biddleville. 5 Points Realty has always been here for Charlotte and her surrounding communities. It’s now time to put on some polish and wear the 5 Points Realty well earned name with pride and color. 5 Points Realty is launching it’s new look and full marketing armada in March of 2019. The task of choosing a Fresh look for an established and very well loved entity was not taken lightly. 5 Points Realty is very proud of the custom and meticulously designed logo marketing and website. 5 Points Realty will pop and be more recognizable on it’s cover while still being the place buyer’s, sellers and the Charlotte community knows, and trusts. We are excited to create what happens next.